Top 5 things you carry while going on a surf? The 5 things I bring with me for pre and post surf are: Its a 10 leave in conditioner (I use it whenever I get out of the ocean or shower), Sunscreen, stickybumps wax, water, and a snack. How is your preparation for the 2020 Olympic Games going? My preparation is great so far, lots of the preparations won’t be different from my routine already, but my team and I are focused on the long run, and continuously trying to improve aspects of my surfing. 3 Favorite destinations for surfing other than Hawaii. Myths about surfing that need to be busted? There are sharks. Haha But you hardly see them or encounter them. During my whole surfing career I’ve only encountered 2. Women Fitness thanks Tatiana and her team for helping create this incredible feature. All content on this site is copyright of Women Fitness and no part of any article found on this site may be reproduced without an express permission and highlighted, do follow link crediting http:// www.womenfitness.net/ or preferably the original page as the source. This interview is exclusive and taken by Namita Nayyar President womenfitness.net and should not be reproduced, copied or hosted in part or full anywhere without an express permission. Sportswomen Pro Surfer Laura Enever Likes Chasing Big Waves, Inside & Outside The Ocean! 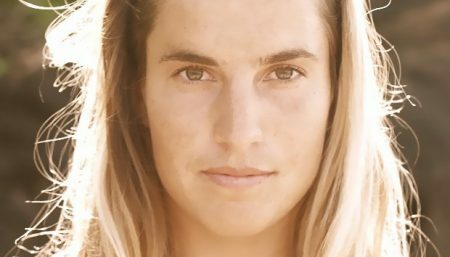 Motivation Point World Leading Professional Surfer Paige Hareb on her Journey to Success!